I went and saw Toy Story 3 at midnight, and it was amazing and I highly recommend it! The movie is funny and endearing, a good mix of adventure, emotion, story, and heart. Pixar has done it again, another wonderful movie! And I am not the only one that thinks this, the movie is getting amazing reviews from many different sources. 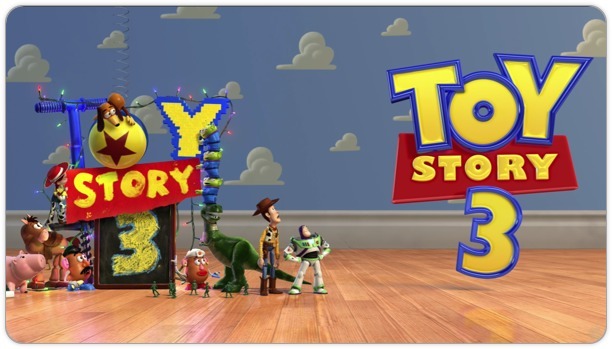 I loved the first toy story, was pleasantly surprised to find that I loved the second one just as much if not a little more than the original, and now the 3rd installment is more of the same. If you loved the first two movies, you will certainly love this one. I will definitely be seeing this one in the theater. The animation looks awesome and the owls are so cute! I really dislike the Animation in this movie, and I am not sure I will be able to get past that. While I think that the premise sounds funny, I may be renting this one once it becomes easy to find. I also really do not like how they are adverting the movie in “eye popping 3D” when the animation is not great to begin with. I really hope that the movie will not be full of pointless plot gags just to get some 3D elements into the story that won’t translate well later on when it is out on DVD. I am not sure I remember if I saw Cats and Dogs, but this is one that I am willing to rent and see at home. I think this movie might prove to be mildly entertaining. Now this movie is not about cute animals or anything, but it looks really funny and I am excited to this new Disney movie! I saw this one already. It has a good story line, humor, and I think it is a fitting end the franchise. I did not see Marmaduke, the previews made it look okay but not good enough for me to spend $9 to see it in the theater. Maybe you will feel differently though. I am looking forward to seeing this movie on DVD eventually though!